Tarbert’s Corner House was the answer for keen quiz teams. 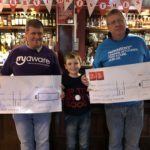 Fifteen teams took part in the latest charity quiz night hosted by the popular pub recently, with The Quizzy Rascals and Lenny’s Return sharing the victory. The team winning the title of Most Appropriate Name on the Night was The Silver Darlings. 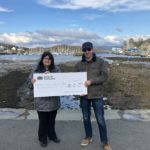 It was the Kintyre branch of the Fishermen’s Mission, however, which was the real winner as both teams donated their share of the £50 prize money, donated by the Corner House, back to the charity. The Fishermen’s Mission is a cause very close to the heart of the fishing village and, as ever, the Corner House locals dug deep raising £500 for the mission. 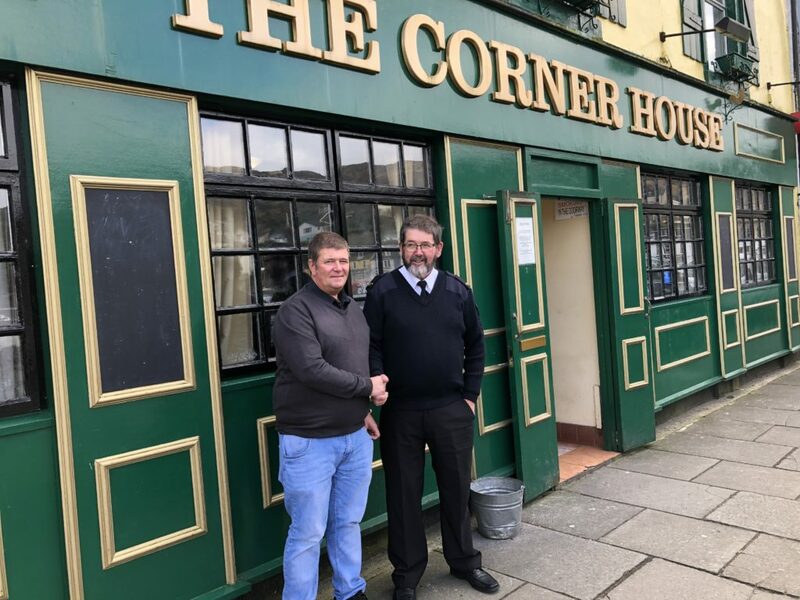 The Corner House’s Duggie MacNeill welcomed Matthew Ramsay from the Fishermen’s Mission to Tarbert to present him with a cheque which he gratefully accepted. Duggie and Margaret would like to thank everyone who came along and supported the event. The quiz couldn’t take place without the hard work of Martin and Allie so a huge thanks to them.